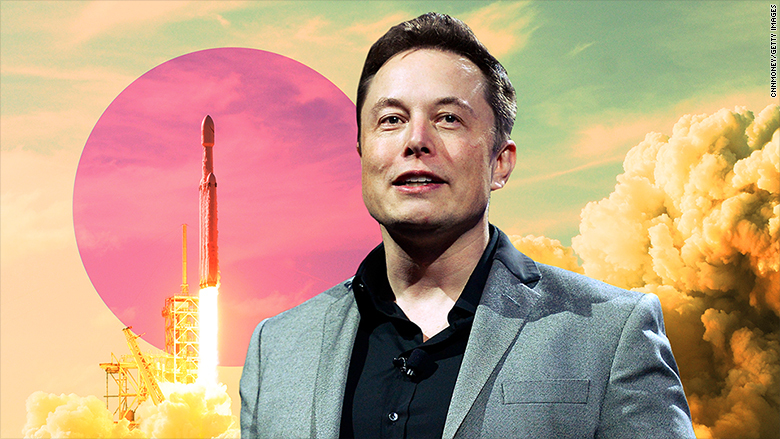 PACIFIC • What's Eating Elon Musk? What's Next: Elon Musk vs. the World. The Tesla founder's frustrations with reporters and analysts are boiling over onto his Twitter feed and earnings calls, highlighting a shift in relations between the Iron Man and those who have historically afforded him hero status. • criticized The Washington Post for a story about a Tesla crash: "It's super messed up that a Tesla crash resulting in a broken ankle is front page news and the ~40,000 people who died in US auto accidents alone in past year get almost no coverage." • criticized Wall Street analysts for asking about capital expenditures and Tesla Model 3 production: "Boring, bonehead questions are not cool," Musk said to one. "These questions are so dry. They're killing me," he said to another. Memo to Musk: He's right that one Tesla crash pales in comparison to tens of thousands of fatal auto accidents, but as Jalopnik's Ryan Felton points out, "it'd be wholly irresponsible to avoid scrutinizing whether [autonomous] technology can perform in the real world." The Big Picture: Musk is a long-term thinker in a short-term world, and his runway is running out. Tesla needs to demonstrate real, tangible progress to convince everyone other than his most bullish investors that he's still a safe bet. Musk is listening to Grimes. What's Next: Musk will hold an event here in L.A. tonight to discuss The Boring Company's plans for the city, including a plan to link Boring's Hyperloop with SpaceX's rockets and get people anywhere on earth in under an hour. Last night, it took me an hour to get from Venice to Hollywood. President Trump is meeting with China's top trade official Liu He today. If you care half as deeply as we do about China's technological rise and what it means for the future of the world, please, please read Keith Bradsher's big-picture take on US-China trade relations in today's New York Times. • The US and China "are seeking nothing less than a fundamental rethinking of a trade relationship that encompasses more than $700 billion in goods and services that flow between the countries every year." • "The plans being developed in Beijing and Washington anticipate a time when the economic engines of China and the United States are not so closely linked, particularly in high-tech industries." • "The focus on disengagement reflect broader political realities. China is rapidly building a world-class navy; conducting military exercises in Africa and off the shores of northern Europe; and developing some of the world's most advanced stealth fighter planes and ballistic missiles. The military muscle-flexing has caused alarm in Washington and directly influenced trade policy." • "Some of the brightest minds I talk to in tech believe we are headed toward a bipolar future where the United States and China close their tech markets to one another and fight for conquest of the rest of the world, like a game of Risk." • "There will be an American and a Chinese version of everything -- an Amazon and an Alibaba; a Google and a Baidu; an Uber and a Didi Chuxing -- and each pair will compete for rights to Asia, Africa, Latin America and Europe." • "Tech dominance will be how the US and China establish political and economic influence over the rest of the world. The lines of the new geopolitical map will be drawn by tech companies, on a country-by-country basis. Longstanding political and military alliances will shift due to new economic considerations." • "In the coming weeks, Amazon will host an event in the city of Hangzhou -- Alibaba's hometown -- to connect online merchants with 400 Chinese manufacturers keen to sell ... directly to American and European consumers." • "The gathering is part of Amazon's effort to evolve from an e-commerce platform into a global logistics operation. The idea is to help Amazon merchants connect directly with manufacturers in China." • "Speedy delivery helped Amazon dominate e-commerce in the U.S., and the company wants to do the same globally to fend off Alibaba ... EBay ... and Wish." "Walmart's online sales grow 33%," by CNNMoney's Nathaniel Meyersohn: "Digital sales jumped 33% last quarter ... Walmart expects that number to increase 40% for the entire year as CEO Doug McMillon scrambles to refit the world's largest brick-and-mortar retailer for the digital era." Bird on the Hill: Jack Dorsey in D.C.
Twitter CEO Jack Dorsey met with Sen. Mark Warner today to discuss Russia's election meddling efforts and potential regulation on political advertising and data privacy, a source with knowledge of the meeting tells me. They also talked about GDPR and German hate speech law. The Senate Intelligence Committee's ranking Democrat has been leading the charge to regulate tech companies. When I interviewed him last month he laid out four ideas for potential regulation, all of which he discussed with Dorsey today, per the source. • 1. Forcing tech companies to assume responsibility for content. • 2. Forcing tech companies to warn users about foreign actors. • 3. Giving users easy ownership of their data. • 4. Giving users financial compensation for their data. Warner also believes Congress and big tech are not moving fast enough to prevent foreign meddling from happening in 2018 and 2020. "If we don't put some framework around this, bad stuff is going to happen," he told me. The Trust Crisis: What's Worse: Facebook or Google? What Menlo Park and Mountain View are reading: NYT's Brian Chen downloaded a file containing all the data Google had on him and compared it with all the data Facebook had collected on him. • "My Google data archive was much larger than my Facebook file — about 12 times larger, in fact — but it was also packed with fewer unpleasant surprises." • "Most of what I saw in my Google file was information I already knew I had put in there ... while my Facebook data contained a list of 500 advertisers with my contact information and a permanent record of friends I thought I had 'deleted' years ago, among other shockers." Les Moonves has lost his lawsuit attempting to remove Shari Redstone's control over CBS, a win for Redstone as she tries to merge CBS and Viacom. • My colleague Brian Stelter says CBS has vowed "to keep fighting." • Recode's Ed Lee says Moonves will likely take Redstone back to court. The Big Picture: Moonves and Redstone are fighting to best position themselves for acquisitions later down the line. Moonves believes CBS is more valuable without Viacom, Redstone believes Viacom is more valuable with CBS. The Bigger Picture: We often talk about media mergers and acquisitions as a game of scale. For CBS and Viacom, it's really a game of self preservation, as tech companies seize control of the means of distribution and reduce the influence of old school media companies. Amazon Studios has landed rights to "The Hunt," a drama series about Nazi hunters by "Get Out" writer-director Jordan Peele. • "This marks the first new scripted series pickup for Amazon since Jennifer Salke took the reins as head of Amazon Studios." • "The Hunt follows a diverse band of Nazi Hunters living in 1977 New York City [who] have discovered that hundreds of high ranking Nazi officials are living among us and conspiring to create a Fourth Reich in the U.S."
The Big Picture: Amazon, Apple and Netflix are paying top dollar for the best content, talent and showrunners, building up their content portfolios at the expense of old Hollywood. What Next: The Information's Beejoli Shah takes a deep dive into BuzzFeed's Hollywood adventure.